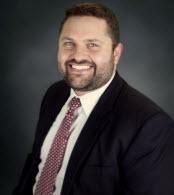 Jameson (or "Jam") is an associate attorney in our office with a focus on construction law and litigation. His experience in construction started in 2004 when he began working summers for a local construction company as a laborer and intern engineer. In 2008, Jameson earned his Bachelor of Science in Civil Engineering from Ohio Northern University. After witnessing firsthand the myriad legal issues that arise in construction, he went on to pursue his law degree from Ohio Northern University-which he earned in 2011. Currently, and for the past 5 years, Jameson has worked as a Project Engineer and In-house Counsel for a fourth-generation-owned construction company. He has had the unique experience of managing $25-$50 Million heavy highway construction projects, as well as participating in catastrophic personal injury and wrongful death insurance defense cases. This experience allows Jameson to approach construction-related cases from a much different perspective than most attorneys, and it makes him a great asset to any case.